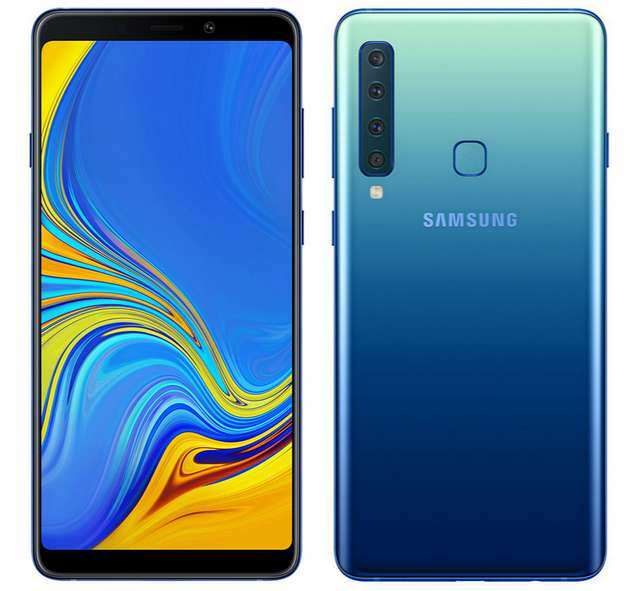 Few weeks after its initial debut Samsung today has launched its camera-centric smartphone, the Galaxy A9 (2018), in India. The phone is noble for its quad rear-facing camera, the first of its kind since the existence of Android. The quad camera are vertically laid at the upper left on the phone back— the first sports a 24MP f/1.7 sensor, the second a 10MP f/2.4 telephoto sensor, the third an 8MP ultra-wide angle sensor, while the fourth 5MP f/2.2 sensor is meant to capture the depth of field. The front camera is not lacking either, adding a 24MP sensor to the group. The Galaxy A9 (2018) is driven by Qualcomm's Snapdragon 660 octa-core chipset, coupled with up to 8GB of RAM. The 128GB inbuilt storage is expandable via MicroSD up to 512GB. It has a fingerprint sensor at the back, 3.5mm audio jack and USB Type-C port at the bottom, while it is powered by a 3800mAh battery. The 6GB RAM model is priced at Rs 36,990 ($518 USD), while the 8GB RAM model costs Rs 39,990 ($560 USD). It is available for pre-order at popular online and offline stores across India starting today. Shipping will starts on November 28th.